I want you to imagine that you’re at a cocktail party, and you’re talking with someone you have just met. As people naturally do, you stand a comfortable distance away and start chatting about work, politics, the weather, whatever. But as the chat progresses, you notice that your conversation partner has inched towards you until they are standing uncomfortably close. What do you do? Most people, without even thinking about it, would back away. But if your new friend’s cultural norms or comfort zone differ from yours, they would probably take another step forward… to which you would likely respond by taking another step back. You can probably imagine the absurdity of this, as it could easily result in the other person appearing to chase you around the room in an awkward, unspoken dance. This is called the “pursuer-distancer dynamic” and it’s a great metaphor for what happens in a lot of relationships: one person says, “please, I need you to be closer to me” and the other person responds by saying “well actually, that’s too close and it makes me pretty uncomfortable” and then backs away. The result of this is that the first person (the pursuer) feels abandoned and the second (the distancer) feels smothered. As I’m sure you can imagine, this is an extremely unhealthy dynamic for a relationship. When asked, most people who are unhappily coupled will say that they are having “communication problems”. And what most of those people mean, and are explaining in the best way they know how, is that they are stuck in a pursuer-distancer dynamic. Obviously, when you make a bid, “turning towards” is the response that makes you feel the best, and “turning against” makes you feel bad. But what John and Julie Gottman’s research shows is that actually, turning away is much, much worse. It’s experienced as more painful in the moment, and it is more highly correlated with divorce. I think this is surprising! If you asked me if I’d rather someone be outright cruel to me or completely ignore me, the pragmatic part of my brain says that I’d rather someone ignore me. But studies show, again and again, that if that person is someone you’re intimately involved with, it is far more hurtful to be ignored. So let’s think of this in terms of our pursuer-distancer dynamic. Knowing what we now know about bids, think about the experience of the pursuer. In this new language, we can now say that a pursuer is making emotional bid after emotional bid, and the distancer is repeatedly turning away. And as we just discussed, because turning away is the most painful response, this couple is at high risk for separation. In order to intervene and fix this, it’s important to understand why each person does what they do. Let’s take a look at that. Pursuers – The driving force behind a pursuer is fear or anxiety. The person feels a great amount of discomfort with the discord and is panicked at the idea that their partner is pulling away from them and may never return. Distancers – The driving force behind a distancer is a sense of “I can’t do anything right.” No matter what a distancer tries, they believe that they will be admonished and berated, so why try anything at all? Instead, the distancer runs away, opting to extricate themself from the situation. Morgan and Alex are in a relationship. Morgan has a slightly higher tendency to address conflict head on, but Alex is willing to try. Morgan senses that Alex isn’t very comfortable talking about things, so approaches them with a little bit more fervor than Alex is comfortable with. Alex starts to feel put on the spot, and pulls away a little bit when conflict starts to bubble up. Alex wonders why Morgan can’t just accept the way things are. Morgan confronts Alex about starting to pull away, and Alex tries to explain. Morgan encourages Alex to share but feels that Alex is being evasive and says so. Several months go by, and now any time Alex feels that Morgan is upset, the former goes into the bedroom and shuts the door. Morgan, confused and scared of losing Alex, follows the latter into the bedroom. Morgan reacts to these feelings of fear and starts yelling. Alex thinks, “yes, I was right. No matter what I do, I can’t win here.” Alex decides to spend the night at a friend’s home. Morgan thinks, “yes, I was right. I’m losing Alex. I’d better call to try to fix this.” Alex feels overwhelmed and turns off the phone. And so on, so forth. Neither person has bad intentions, but because of the lessons each learned in the relationship, they responded in kind by following their instincts. The solution begins with the recognition of this dynamic. Once each person understands what is going on, they can step outside their comfort zone. As with any patterns, old habits die hard. Reading books by John and Julie Gottman and Sue Johnson can help, but it may be necessary to bring in the aid of a professional. Even if your partner is unwilling to come in for couples therapy sessions, a therapist familiar with these issues can help you to see and communicate about the dynamics that are making both parties feel lousy. This dynamic, when looked in the face, can be fixed – there is hope! 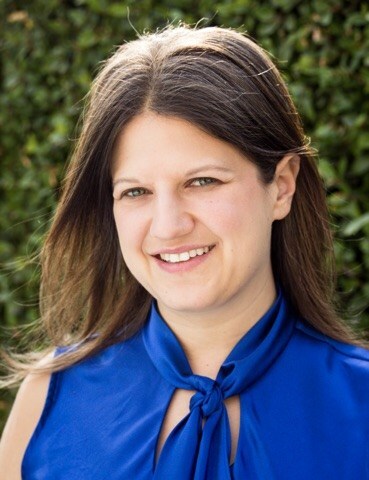 Jennie Steinberg is a Licensed Marriage and Family Therapist and a Licensed Professional Clinical Counselor based in Downtown Los Angeles. She is the founder of Through the Woods Therapy Center, a group of psychotherapists who are strength-based and use the principles of social justice to inform their work with clients. Jennie has written extensively about issues pertaining to mental health and wellness, feminism, LGBTQQIAPK+ issues, and living authentically. Her guiding philosophy in her work and her life is that if you’re not harming anyone and you feel good on the inside, you’re probably doing okay. You can find her via her website: Through the Woods Therapy Center, on Twitter, Facebook, Pinterest, and Yelp.